For people who love cookery and sharing their culinary creations with others, it’s often a lifelong dream to open a restaurant. What could be better than designing a stunning venue, creating menus, and blowing your guests away with delicious new dishes every day? Plus, if you get all of these elements right, your restaurant could have the potential to make a very appetising profit, too. But even for those with previous culinary experience, starting a restaurant from scratch can be a colossal task. Even if you’ve got a killer concept, there are still lots of legal processes and licensing laws to contend with, and you’ll need to make a lot of important decisions about designing your venue, choosing equipment, and marketing your business, too. How much does it cost to open a restaurant in the UK? How to set up and run your kitchen: what equipment do you need? Even the most talented chef or ambitious entrepreneur will struggle to attract diners without a unique restaurant concept. This is what’s going to make your restaurant stand out from the crowd and entice people to visit your eatery, so it’s vital that you spend time creating an original idea. The type of cuisine: What sort of food will you serve? What price point are you aiming for? The atmosphere and styling: Will it be a casual dining restaurant concept, or will it be a fine dining haute cuisine experience? How will the venue, décor and setting inform this? For example, a white-tablecloth, high-end restaurant will have very different décor and atmosphere to a casual tapas bar. The service style: What sort of service will you provide? Will customers order at the bar, or will there be a full waiter service? Will this be reflected in the staff uniforms? Your intended audience: What sort of clientele will your concept attract? What styles of food and service are they interested in, and what sort of resources do they have to spend on dining out? This will dictate how much you can expect to charge for your dishes, so research this carefully. Although every element of your concept matters, the starting point should always be the food. After all, it’s the concept that persuades people to visit your restaurant, but it’s ultimately the quality of the dishes which will decide whether they return. So, pick a style of food which you’re passionate about, and which you genuinely believe you can do better than any competitors. Then choose an atmosphere, service style, and target audience to suit your food concept. Now that you’ve thought up a concept, you’ll need to do some research on your competitors, so you can figure out how you’re going to stand out from the crowd. One of the simplest ways to gather research is to spend some time dining in other local restaurants. This will let you scope out the competition and help you to establish whether there are any gaps in the market you might be missing. It will also provide you with a valuable opportunity to see which elements of their restaurants work, and which are less successful. For instance, if a local competitor serves great food, but the atmosphere and service is stuffy and outdated, then that’s an opportunity for you to offer something better. Or, maybe the atmosphere is buzzing and the service is friendly, but the menu is over-complicated and bland. Once you’ve identified the strengths and weaknesses of your competitors, you can incorporate the elements that work, and find ways to fix the parts that don’t. This will give you a real edge over other restaurants and help you to retain a loyal customer base. Diners love something new and original, which is why so-called ‘fusion restaurants’ have seen great success in recent years. The menu in a fusion restaurant essentially combines different culinary styles and traditions to bring a new twist to classic dishes, and if you know what you’re doing, it can make a brilliant concept that appeals to diners who are looking for something fresh and exciting. As such, they tend to be more successful in areas where most other cuisines are already well-catered for. So, if there are already lots of Chinese restaurants in the area, then a fusion concept can give you a way to stand out in a saturated market. South-East Asian and South Asian cuisines are popular choices for fusion restaurants, as the flavours and culinary techniques tend to complement each other very well. If you like the sound of starting a fusion restaurant, then you’ll need to think carefully about how you’re going to balance the various culinary influences without your menu becoming overcomplicated or compromising the quality of your dishes. You’ll also need to be well versed in both styles of cuisine, so you can be sure that the quality is up to standard. It’s not enough for your restaurant to be a labour of love — if you want your business to survive, then it needs to turn a profit. So, when creating your concept, you’ll have to figure out whether or not it’s going to be achievable with your budget, and how likely it is to make a profit. You’ll need to create a rough financial outline that considers what your overheads are likely to be, how you plan to source and buy ingredients, and what your mark-up will be on each dish. Depending on what sort of dining experience you want to create, you’ll also need to consider how much the venue itself will cost, along with any renovations you plan to carry out. There’s also the issue of staff salaries to consider. For instance, if you’re aiming to create a luxury fine dining experience, then you’ll need an experienced head chef and a talented team of cooks, so you’ll need to spend a lot more on staff salaries and training to attract and nurture the right talent. You can read more about budgeting and creating a financial plan in our section on restaurant costs. So, you’ve dreamed up a brilliant restaurant concept that you’re passionate about, you’ve done some market research, and you’re certain your idea is going to be a hit with diners. Your next step is to start work on the various legal requirements that all restauranteurs must satisfy before they can open for business. 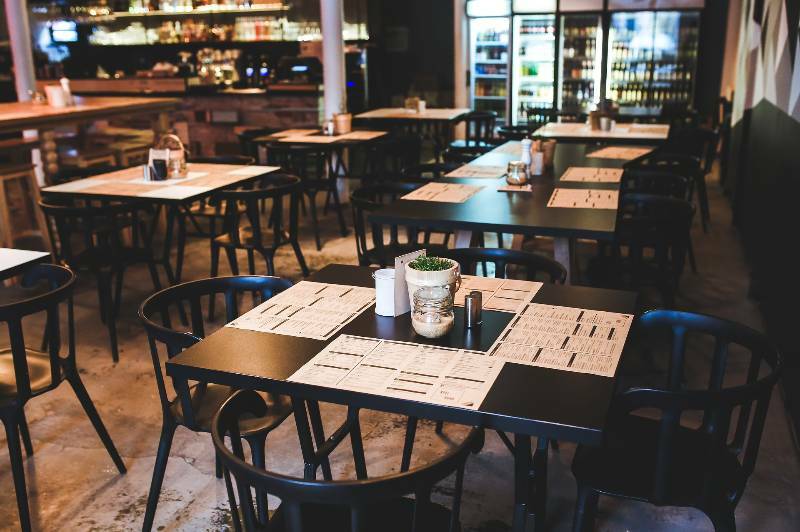 In this section, we’ll run through the legal requirements of opening a restaurant in the UK, including the various licences and permits you’ll need before you can open your doors to customers. We’ll also talk about what you’ll need to do to stay on the right side of the law in terms of hygiene and food safety. Firstly, you’ll need to make sure that you have the right planning consent for your dream venue. Under UK planning permission laws, buildings are categorised based on their intended use, so if you buy or let a building that is not currently being used as a restaurant or café, then you may need to apply for planning permission to change it. You can find out which buildings will require planning permission for a change of use on the government planning portal. 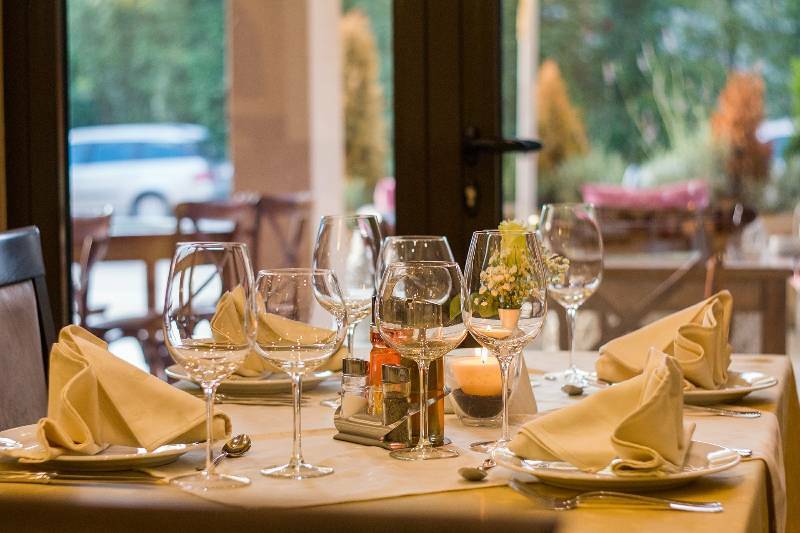 Almost every type of business needs a licence to operate, and a restaurant is no exception. Any company that plans to take part in ‘food operations’ (defined as selling, cooking, storing, preparing or distributing food) will need to register with their local council authority at least 28 days before they open for business. It’s free, and it’s very unlikely that your application will refused, so register your restaurant using the online government portal as soon as you can. If you’ll be preparing and serving any dishes that use meat, eggs or fish, then you’ll also need to apply for a food premises licence from your local council. By far the most demanding and comprehensive set of regulations that restauranteurs must contend with are food safety and hygiene standards. These laws dictate how you buy, store, cook and serve your food, as well as the hygiene regime your kitchen and waiting staff must follow. Every restaurant is inspected and given a hygiene rating by the Food Standards Agency. You’re legally obliged to display your rating where your customers can see it, so getting a poor rating from the FSA can be a major turn-off for potential customers. At worst, you could even lose your restaurant licence or be temporarily suspended until you clean up your act. If you need to learn more about keeping your kitchen spotless, then brush up on your knowledge with our guide to maintaining a clean commercial kitchen. For many people, dining out just isn’t the same without a glass of wine or beer to enjoy with their meal. If you plan to serve any kind of alcohol to your customers, then you’ll need to apply for a premises licence with the local council authority. Your application will need to include your details (including a plan of your venue) and an operating schedule of the hours when alcohol will be sold. One submitted, you’ll need to display your application somewhere on your premises for 28 days, so member of the public will have a chance to see it. You’ll also need to appoint a designated premises supervisor (DPS), who will need to hold a personal alcohol licence. It’s up to the DPS to make sure that alcohol is sold in a professional, responsible way, and they will also be the first point of contact should the police or local council have any concerns about your restaurant. The DPS doesn’t need to be on the premises at all times, but they should be familiar enough with the day-to-day business operations to act as a legal representative. To get a personal licence, your DPS must first get an accredited qualification, which will make them aware of licensing laws and teach them how to oversee the sale of alcohol in a professional manner. You can find a list of providers who are accredited to carry out the qualification on the government’s licensing portal. Once you have a DPS, and your premises licence has been approved, the final step is to display your licence somewhere inside your restaurant where it can easily be seen. You’re now all set to start serving alcohol to your guests. As with any with business, it’s the legal obligation of the owner to do everything within their power to keep both staff and customers safe while on the premises. 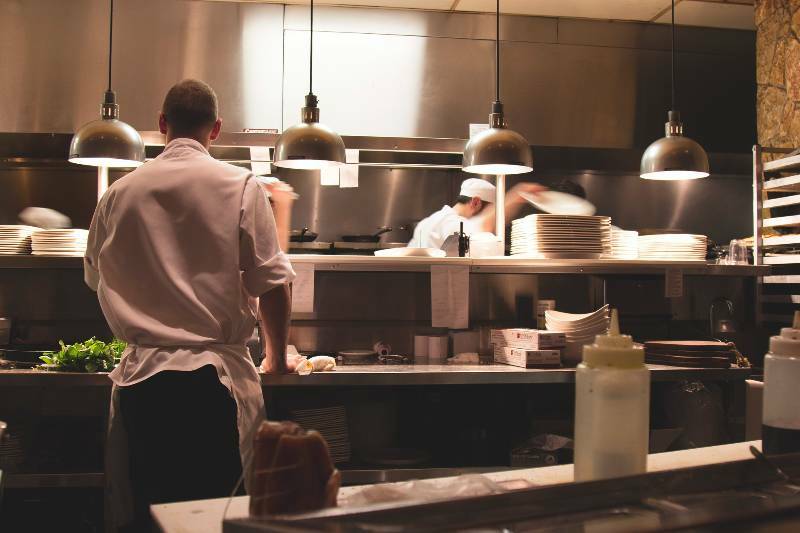 The health and safety requirements for running a restaurant can be extensive, so take a look at this comprehensive guide from the Health and Safety Executive to learn more about your legal duties, including how to carry out a risk assessment and minimise the risk of an accident occurring. Minor burns and cuts are especially common accidents in professional kitchens, so you will need to make sure your staff have access to a first aid kit to treat any minor injuries, including detectable plasters and burn dressings. There should also be a plan in place for reporting and recording all injuries that happen on site, no matter how minor. If you want to play background music in your restaurant (either for your customers, or in back-of-house areas for your staff) then you’ll need to apply for a music licence. These are issued by PPL PRS and ensure that the owners and performers of copyrighted music are reimbursed for the use of their tracks. The cost varies depending on the size of your venue and the number of people you employ, so to learn more and obtain a music licence, visit the PPL PRS website. If you’d rather not pay for a licence, then you can still play royalty free music. There are a number of royalty free recordings available specifically to be used as background music in restaurants: just make sure it fits with the overall theme you want to create. When it comes to the cost of starting a restaurant, the exact figure you need to spend will vary between different businesses. As with any business, restaurant start-up costs can vary from a few thousand pounds, to well into six figures, depending on how ambitious your concept is and how much money you have access to. Here, we’ve shared a few of the major expenses that new restauranteurs are likely to encounter on their road to success, so you can get an idea of how much funding you’ll need and what to include in your financial plan. Without a doubt, your venue will be your single biggest expense. A leasehold property will almost always be cheaper than a freehold and, depending on the location and the size of the venue, you could expect tor pay anywhere from £40,000 to in excess of £200,000. It’s not just the cost of the rent or mortgage, either. If you’re buying or letting through an agent, then you’ll also have agency fees to pay, and you’ll also need a conveyancer to handle the legal side of the transaction. If you’re buying a leasehold property, then you’ll definitely need to hire a solicitor to help negotiate the terms of the lease and ensure you get a fair deal. You won’t just need professional guidance when buying or leasing your venue. Instructing a solicitor will also help you to deal with the other legal aspects of starting a restaurant, like planning permission or change of use consent. If you’ll be buying with a partner or co-founder, then a solicitor can also draw up a contract or partnership agreement to give your greater security and control. It’s also a good idea consult a professional accountant, too. They will be able to advise you on how to pay tax, and how to set up a business account. 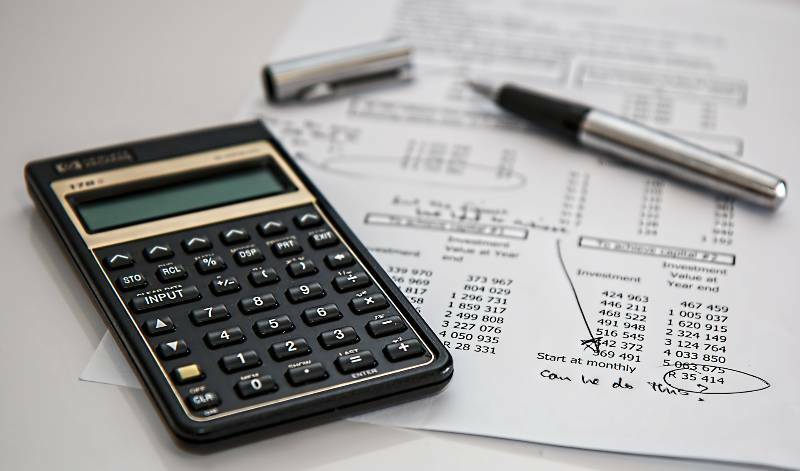 As your business grows, you may find that you need to employ an accountant to help with general bookkeeping and payroll management: you can expect to pay anywhere between a few hundred to a few thousand pounds a year for this, depending on the number of services you need. Perhaps the most important thing to remember when creating a financial plan is that it’s going to be a while before your restaurant turns a healthy profit. Even in the best-case scenario, building a successful restaurant is going to be a long-term process, and your financial plan will need to reflect this. Given the number of outgoing costs you can expect to pay in your first year of trading, it’s unlikely that you’ll even make enough money to recover the cost of your investment. It’s a smart move to factor this into your financial plan and start with enough funding to keep things going for a year or two until business picks up. If your dream of becoming a restauranteur doesn’t seem financially feasible right now, then there are still ways to start a professional catering business on a smaller budget. Street food and pop-up restaurants have enjoyed great success in recent years, and if your idea takes off, then you might even grow your business to a point where you’re able to afford a permanent venue. If this sounds like the option for you, then take a look at our guide to starting a street-food business to learn how to get started. Behind every thriving restaurant is an efficient kitchen. What happens in this small but vital space will ultimately decide whether or not your business is a success — so you’ll want to make sure that yours contains everything you need to bring your culinary creations to life. In this section, we’ll discuss how a restaurant kitchen works, and the basic equipment you’ll need to get yours up and running. We’ll also talk about matching your equipment to suit your dishes and culinary style, and how a professional kitchen should be organised and laid out so it’s as efficient as possible. For your commercial kitchen to run smoothly, you’ll need to make sure it’s equipped in five basic areas. Here, we’ll talk you through what each area is used for, and the catering appliances and equipment you’ll need to install before you can start serving customers. Food storage areas: Your kitchen will need a way to store fresh produce, dry foodstuffs, and ready cooked food in a safe and hygienic manner. This will need to include chilled storage solutions for raw fish, meat, eggs, and other fresh produce, such as refrigerator cabinets or cold storage rooms. Pantries and cupboards should be fitted with shelving units, so that different types of food can be stored on separate shelves — our selection of shelving solutions includes adjustable products, so you can tailor them to suit the space you have available. Secure, clearly labelled food storage is a vital part of good kitchen hygiene, so you’ll need to decant your ingredients into securely sealed transparent food storage boxes, and clearly indicate the use-by date with a label gun. Many kitchens use a first-in, first-out (FIFO) system for ingredient storage, as this both helps to prevent spoilage and contamination, and also helps to prevent food waste. You will also need to ensure that you store raw and frozen foods at the correct temperatures in fridges and freezers: to learn more about this, take a look at our guide to food safety and storage. Cooking areas: The ‘cookline’ is the area where oven and stovetop cooking take place. Depending on the size of your restaurant, there may be separate stations for different line cooks, who will each handle different types of dishes, or there may just be one cooking station. This is the part of the kitchen where you’ll have commercial ovens and ranges installed. All of the cookware — including pots, pans, and roasting trays — will usually be stored in this area, so it can be easily accessed when needed. Food prep areas: This is the area where the majority of cutting, chopping, and filleting of raw foods takes place prior to cooking. For maximum efficiency, food preparation areas are usually positioned between the storage area and the cooking area, as this allows the process to happen in one uninterrupted chain. Keeping raw and cooked foods separate during prep is one of the most important aspects of good kitchen hygiene, so you’ll need to ensure that you’ve got a well-organised system for prepping raw meat and fish, vegetables, and cooked food in a sanitary way. Colour-coordinating your chopping boards and other prep equipment is a clear, straightforward solution that will help to prevent accidental cross-contamination during busy shifts — you can learn more about this in our guide to colour-coding your equipment. A full set of chef’s knives and any other food preparation tools will usually be kept in this area. Your cutting tools should be carefully chosen to suit the type of food being prepared, so if you’re not sure what you’ll need, take a look at our guide to kitchen knives to learn which tools are right for your business. Food collection area: Sometimes called the ‘pass’, this is where your service staff will collect the finished dishes before serving them to customers. Depending on the layout of your venue, this can be accessed via a door or through a hatch in the kitchen. Many restaurants will install a heated gantry here to keep food hot while waiting for service. Dish washing and waste disposal area: This section is where dishes, glasses and kitchen equipment are washed, and any waste food from customer’s plates is disposed of. Whether you use a dishwasher or industrial basin will depend on your budget and the space available in your kitchen: take a look at our warewashing range to get an idea of the cost and sizes of various commercial dishwashers. If possible, it’s also a good idea to position your dish-washing area close to the area where your clean crockery is stored, as this will make it easier and faster to re-stock clean dishes. You’ll also need a well-organised waste disposal system in this area, including separate bins to allow you to sort waste and recycling. While all professional kitchens will need the basic essentials we’ve outlined above, you should also think about whether you’ll need any additional equipment. Your equipment should suit the style and volume of food you’ll be cooking on a daily basis, so it’s well worth considering whether there’s any specialist equipment that could make your kitchen more efficient. For instance, if your speciality is burgers or barbeque food, then you’re probably going to need a large griddle or chargrill, so you can cook multiple orders at once. Or, if your menu includes lots of sauté dishes, sauces, and other stove top recipes, then you’ll need a commercial hob with enough burners to accommodate this. Even though your food will always be the real star of the show, it’s the design of your dining room that will set the atmosphere for a memorable meal. This is where your guests relax and socialise as they wait for their food, so it’s essential that your front-of-house areas are attractive, inviting, and appropriate for the kind of dishes you’re going to be serving. In fact, almost every aspect of dining room design — from the paint colours on the walls, to background sounds — can influence how your guests order and enjoy their food, according to Modern Restaurant Management. So, it’s important to choose your décor, furniture, and tableware with the utmost care. In this section, we’ll talk about planning the layout of your dining room, choosing furniture, and creating a tabletop design to suit your concept. Keep your concept in mind: When designing your dining room, the most important thing is to try to be true to your original concept. Everything about your dining room — from the wallpaper to the style of furniture — should reinforce your chosen theme. So, when choosing any element of your dining room, make sure you ask yourself whether it’s going to serve your theme, or be at odds with it. Be flexible: From time to time, it’s likely that you’ll need to adapt your table arrangements to suit larger bookings, so it’s a good idea to invest in smaller tables which can be pushed together to accommodate big groups. This way, you can adapt your layout to suit the demands of your booking list, effectively making the most of the space you have. It also helps to have a good understanding of the needs and preferences of your diners. If your restaurant will be family-friendly, then it’s likely you’ll need bigger tables to accommodate large family groups, and an ample supply of high chairs for families with young children. If you’re going for a fine dining experience, then it’s likely that you’ll want more two-person tables to suit couples, as this is more in line your target demographic. Allow plenty of room: When planning the layout of your dining room, remember that you’ll need to allow plenty of space between tables. There’s no legal recommendation for this, so you’ll need to use your judgement, but as a rule of thumb you should allow at least 24 inches between the corner of each table. This will give your guests a bit more privacy to relax and enjoy their meal and allows them to stand up and sit down without disturbing other guests. It will also ensure that there’s enough space for your staff to move safely when carrying plates to and from the kitchen. Consider your guest’s comfort: Your guests are going to spend at least an hour or two in your dining room, so you want them to feel at home. Be considerate of their comfort when choosing seating, and if possible try out any tables and chairs before you buy them, so you can be sure they’re comfortable. If you plan to buy chairs and tables from mismatching sets or different suppliers, then you’ll need to check that they’ll be a compatible size when used together. To an extent, the level of comfort you choose should be tailored to suit your theme. Of course, you want your guests to feel at home, but in casual eateries with a quicker turnaround of customers, it’s perfectly acceptable to go for more minimal seating if it suits the ambience you want to create. In fine dining establishments, you’ll want to create a more luxurious atmosphere where guests can settle in for a few hours, so go for some cushioned, upholstered seating. Create a table setting to suit your theme: Once you’ve chosen your tables and chairs and created a floor plan, you’ll need to create a tabletop design for every place setting. This will greet guests as they arrive at their tables, so you want to make sure their first impression is a good one. Diners expect the table setting to match the food and style of service, so make sure that your tableware and any decorative accents are appropriate to your concept. For example, tablecloths, place mats, and a floral arrangement will impress in a formal, high-end setting, but might seem rather out of place in a casual eatery, where a simple tea light or candle holder might be more appropriate. If you need some more inspiration, take a look at our full range of tabletop accessories, including menu holders, condiment and seasoning sets, and decorative accessories, to find more tableware ideas. Choose mood-enhancing lighting: Good lighting is an important aspect of any dining room. The right sort of lighting will help to set the atmosphere, and can even influence the mood of your guests. Casual eateries with modern, minimal décor will look great with bright, cheerful lighting, while fine dining restaurants tend to suit lower, more ambient lighting, as this creates an atmosphere of luxury and relaxation. When selecting lighting, you’ll also need to take into account how much natural daylight your restaurant receives, and what your opening hours will be. Diners tend to find dimly lit restaurants off-putting during daylight hours, so if you don’t have many windows in your space, then it’s essential to find some brighter lighting for breakfast or lunch shifts. During the evening, it’s acceptable to switch to dim the lights to create a more intimate, relaxed ambience. Just make sure that it’s not too dark — your guests still need enough light to read a menu and eat their food, after all. You’ll also want to avoid any direct overhead lighting that will cast shadows on your guests faces, as unflattering lighting can make people feel uncomfortable. Create an ordering system: Once you’ve got your kitchen and dining room fully equipped, you’ll need to create an ordering system to relay customer orders to the kitchen. This needs to be fast, accurate, and well-organised, so that no orders are missed, and dishes are served as quickly as possible. Nowadays, many restaurants rely on an electronic POS (point-of-sale) ordering system. This a form of software that can be pre-programmed with all of your food and drink items, including prices, making it much faster, simpler and more accurate for staff to input orders and calculate bills. This makes them an especially vital piece of equipment in larger establishments that may need to process hundreds of orders per hour during busy periods. If your restaurant can only host a limited number of covers, it may be more cost-effective to start by taking and relaying orders manually using a duplicate check book, and then switching to a POS system as your business grows. Remember to fit a tab or check grabber in the kitchen near the pass, so kitchen staff can organise and prioritise order slips during busy shifts. Once you’ve found your venue, sorted out the licencing, and stocked up on all the equipment you need, you’re almost ready to start wowing your customers with your culinary creations. But, before you open your doors to the public, there’s one more thing you’ll need to consider: how you’re going to market your restaurant. 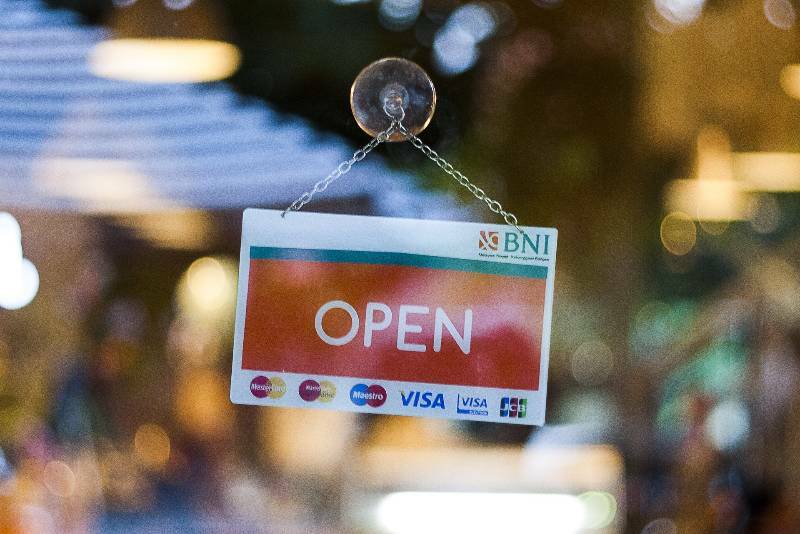 If you want to attract customers, then you’ll need to get the word out and let people know you’re open for business. Here, we’ll discuss a few tips for restaurant marketing, so you can create buzz around your business and start attracting patrons. Nowadays, an online presence can be vital to your success, so you should make it a priority to get a professional looking, easy-to-use website up and running as soon as possible. Many modern diners rely on online resources when choosing a restaurant: in fact, 59% of diners admitted that they looked at online menus when deciding on a place to eat, according to a survey by TouchBistro (HospitalityTech). So, if you want to win over the online crowd, you’ll need to create a professional looking website, and make sure you upload some sample menus — preferably not in a .pdf format, as these can be difficult to access on mobile devices. To learn more about creating an appetising online menu that will tempt diners into your restaurant, check out our guide to designing a menu that does your dishes justice. Your website should also feature some high-quality images of your best dishes, and a few snaps of your venue. So, it can help to arrange a photoshoot with a professional photographer: you can re-use these images to create flyers, too. Even in the digital age, print media can still be an effective marketing tool. Handing out flyers is a simple and cost-effective way to spread the word about your restaurant, especially if you plan to hold a grand opening or run a special introductory offer for new customers. Create some flyers that suit your brand and concept, and hand out the finished prints to pedestrians, or deliver them to households in the local area. Don’t underestimate the power of some simple signage, either. Placing some pavement signage outside your restaurant advertising a happy hour offer or specials menu can be a very effective way to catch the eye of passing pedestrians. Nowadays, diners are just a few clicks away from a wealth of reviews and user-submitted photos of almost any eatery. So, once you’ve opened for business, you’ll want to make sure that your diners have a place to share their glowing reviews of your restaurant. You can sign your business up to TripAdvisor through their online submission form. Social channels are an increasingly popular form of publicity. Apps like Instagram — which allows users to share snaps of their dishes — can be useful promotional tools for restauranteurs, particularly when it comes to reaching younger generations of diners. As nearly all social channels are free to join, it’s essentially free publicity, so set up an account and start sharing a few artfully taken shots of your food. If you’re new to social media and need some help getting started, then take a look at our beginner-friendly guide to creating an appetite for your restaurant on social channels. Now you’ve brushed up on the basics of opening a restaurant, you’re ready to start designing your concept and looking for a venue. Here at Alliance Online, we stock a huge collection of professional catering equipment, so when the time comes to stock up your dream restaurant, you’ll find everything you need in our extensive ranges. To learn more about the restaurant industry, and to stay on top of new developments in the world of catering, check out our blog for all the latest news.